2016: Made 18 appearances for Republic FC in all competitions, including 16 in USL play ... Allowed just 14 USL goals, good for a 0.88 goals against average which ranked fourth among USL keepers that played 1,000 or more minutes ... Recorded six USL shutouts ... Amassed an 8-4-4 USL record for the season. 2015: Appeared in eight matches in all competitions, including four matches in USL play … Allowed just one goal in four USL starts, including three consecutive shutouts against Portland Timbers 2 (9/12), Arizona United SC (9/19) and Orange County Blues FC (9/22) … Recorded a 4-2-2 overall record for the season. 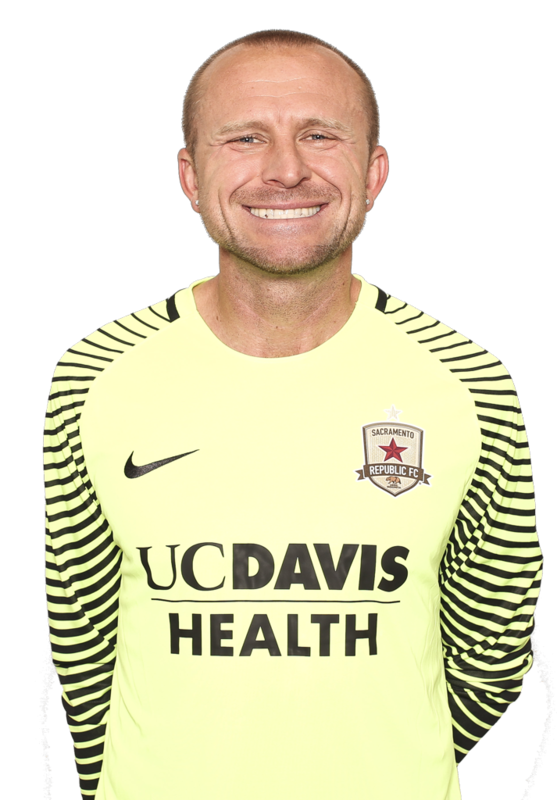 2014: Appeared in 21 matches for Republic FC, starting 17 … Recorded a 1.27 goals against average overall and a 1.12 GAA in USL play, sixth best in USL (minimum 1,000 minutes played) … recorded four shutouts on the year including one against the Fresno Fuego in US Open Cup play on May 28 where he saved a penalty kick and the rebound to preserve the shutout … Was named to the USL Team of the Week in week 10. 2012: Made his way back to the United States and the goal box joining the Sacramento Gold FC. 2010-2011: Transfered to RKS Garbarnia where he was a field player … Was a part of the RKS Garbarnia championship team. 2004-2006: Appeared in 28 matches over a 3 year period with the California Cougars … Had a short stint with Columbus Crew in the 2006 season. 2003: Joined Chico State compiling a record of 21-5-1 in 2003 … Recorded 11 shutouts and had a .811 save percentage and 0.99 goals against average … Helped lead Chico State to the NCAA Division II National Championship … Was a first team All-American … Current USMNT forward Chris Wondolowski was also a member of the 2003 team. Dominik Jakubek pronounced “jah-KOO-beck” … Has the nickname “Dom P” … Is an avid Pilates and Yoga student.